Nabeel Qureshi was a very smart kid with a distinguished Muslim heritage. Living in the US, he knew many ways to critique christianity. Yet a university friendship with a christian led to him finding answers to his critiques, and problems with Islam. It wasn’t an easy journey, but eventually he came to the conclusion that Jesus was true and Muhammad was not. Update, 17 September, 2017: Yesterday Nabeel, aged 34, died after a yearlong battle with cancer. 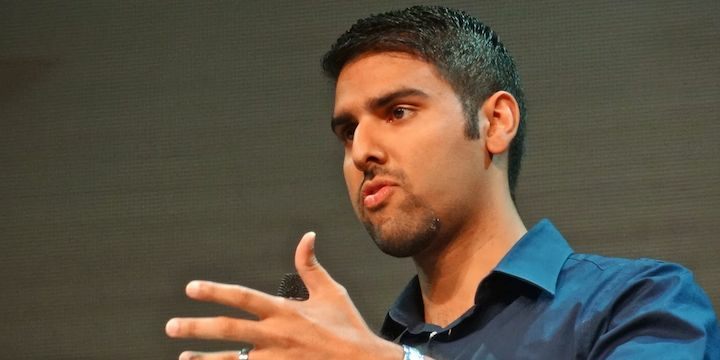 Nabeel Qureshi came from a zealous Muslim family. They were of the Ahmadiyyat sect, which holds to all the core Musim beliefs (6 articles of faith and the 5 pillars), but is regarded as heretical by many Muslims. The Qureshi is the tribe of Muhammad. Nabeel’s grandfather and Great Grandfather were Muslim missionaries in Indonesia and Uganda. The first words spoken over him, after he was born, were the Muslim call to prayer, just as fathers in his family had done for their sons since the time of Muhammad. Although of Pakistani background, he was born in the US, and lived in many locations on the Atlantic coast and in Scotland as his father was in the US Navy. Five times a day he joined in prayer with his family, and recited many other prayers as well. By age 5 he had recited the entire Qur’an in Arabic and memorised 7 chapters! He says: Islam was not just my religion, it was the whole structure of my life. He learned how to ask christians difficult questions, and to feel superior when they couldn’t answer them. So when he went to university, he felt ready to take on christians on the subjcts of the reliability of scripture (Muslims believe the Qur’an was dictated by God and without error), the crucifixion, the deity of Jesus and the Trinity. He soon became friends with a christian and he hit him with all his questions and critiques. But David patiently answered each one, offering reasonable explanations. Nabeel found he could respect David for his christian zeal, even though he didn’t agree with him, and they became good friends. After three years of discussion and his own investigation, Nabeel concluded that the case for Christianity was strong and there were reasonable answers to all his questions. His investigation of the reliability of the New Testament text led him to the conclusion that there is no evidential reason to believe that the modern editions of the New Testament are in any way substantially different from the original autographs themselves. Muslims also cannot believe that God’s prophet could have been crucified, but historical sources, both christian and non-christian, are so clear that he died that historians say this is one of the best established facts in history. Muslims believe every person is individually responsible for all their sins. Nabeel couldn’t understand how Jesus could die for his sins, but he decided if he was convinced of the rest, he could believe this too. But he was still a Muslim. Then David challenged Nabeel to study Islam as critically as he had studied Christianity. He thought he knew Islam well, but when he went back to the sources, he was shocked. He saw Muhammad as less holy, more violent and sensual, than he had thought – a good man, but not the best man who ever lived: there is nothing in his life that could ever serve as proof that his message was from God. And when he re-examined the Qur’an, he found he could no longer believe it contained miraculous knowledge perfectly preserved. He was overwhelmed and confused. When he compared Jesus with Muhammad, Christianity with Islam, Christianity always came out on top. So did what he knew a good Muslim should do – he began to implore Allah for guidance. He asked God to tell him who he was, Allah or Jesus, and he promised he would follow him, whoever he was. The vision occurred immediately afyer he had prayed, asking God to show him the truth. The room faded to black momentarily and instead of the wall, he saw hundreds of crosses. Then the vision was gone, and he was unwilling to accept it as genuine, so he asked God for a dream to verify the vision. That same night Nabeel had a complex dream, involving a snake, a dragon-like iguana, a giant boy and a huge cricket. Nabeel interpreted the dream, using a Muslim book on dream interpretation, as teaching that Islam is deceptive and that Christianity is the truth which would ultimately save me . But the dream was complex in its symbolism, so he asked God for two more dreams, making three in all, to confirm christianity. The second dream came three months later. He was standing outside the door watching people take their seats at a wedding feast, but he was unable to enter because he hadn’t accepted David’s invitation. He contacted David to ask about the interpretation, and David pointed him to the parable of the narrow door in Luke 13:22-30. He knew God was telling him he needed to respond if he wanted to be at the feast. In a third dream a month later, he was on a flight of white stairs and couldn’t seem to get off to make way for an imam. His parents’ dream interpretation book suggested stairs symbolised a search for knowledge and truth and he interpreted the dream as leading him out of Islam. Feeling like he was in a corner, Nabeel travelled to meet knowledgeable Muslims to see if they could provide answers to his dilemma, but he couldn’t shake the conclusion that the case for Christanity was still much stronger. He knew he faced a choice. It seemed God was revealing himself to Nabeel through Jesus. But if he chose Jesus he would lose all connection with his Muslim community and dishonour his family. That had sacrificed for him and he would destroy them. He looked at the Qur’an but found no comfort, nothing to help. He looked at the Bible, and came upon Matthew 5:4: Blessed are those who mourn, for they will be comforted. That was the clincher. Nabeel gave up his life to Jesus, and had to face telling his parents, who were “broken” by his decision, something he still finds excruciating. But he has found God has redeemed his suffering as he began to know God intimately. Nabeel went on to complete his MD and two MA degrees in apologetics and religion, and then studied for a PhD in New Testament at Oxford. He was married to Michelle, and was involved in debates and public talks with an apologetics ministry. He died in 2017 after a battle with cancer. Nabeel’s story in Christianity Today and in greater detail in Answering Islam. Photo of Nabeel from his old website.